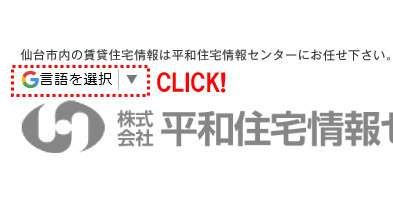 Click on the top left of the page to "言語を選択 (Select Language)", please click on the language you want to translate from the pull-down options. ※will be automatically translated by Google translation. ※It can’t be translated part of the page in some case. Copyright (C) HeiwaJuutaku. All Rights Reserved.